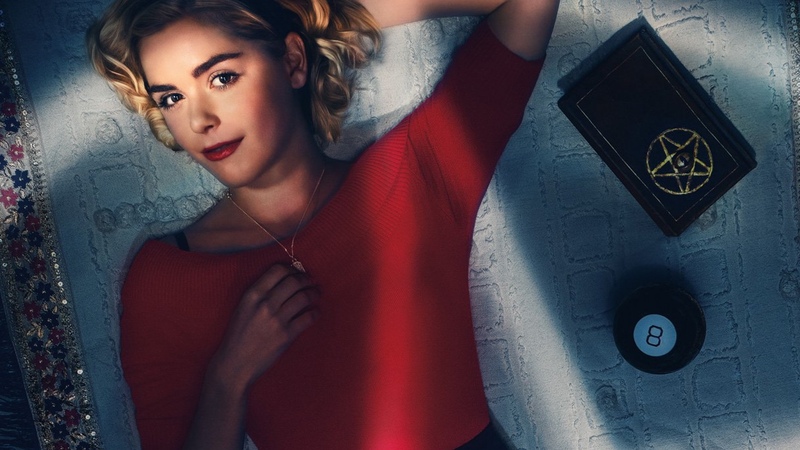 The new Netflix series Chilling Adventures of Sabrina will debut on October 26. This version is a dark coming-of-age story that traffics in horror, the occult and, of course, witchcraft. Tonally in the vein of Rosemary’s Baby and The Exorcist, this adaptation finds Sabrina Spellman (Kiernan Shipka) wrestling to reconcile her dual nature – half-witch, half-mortal – while standing against the evil forces that threaten her, her family and the daylight world humans inhabit. The ensemble cast includes Lucy Davis, Miranda Otto, Michelle Gomez, Richard Coyle, Tati Gabrielle and Bronson Pinchot [among others].